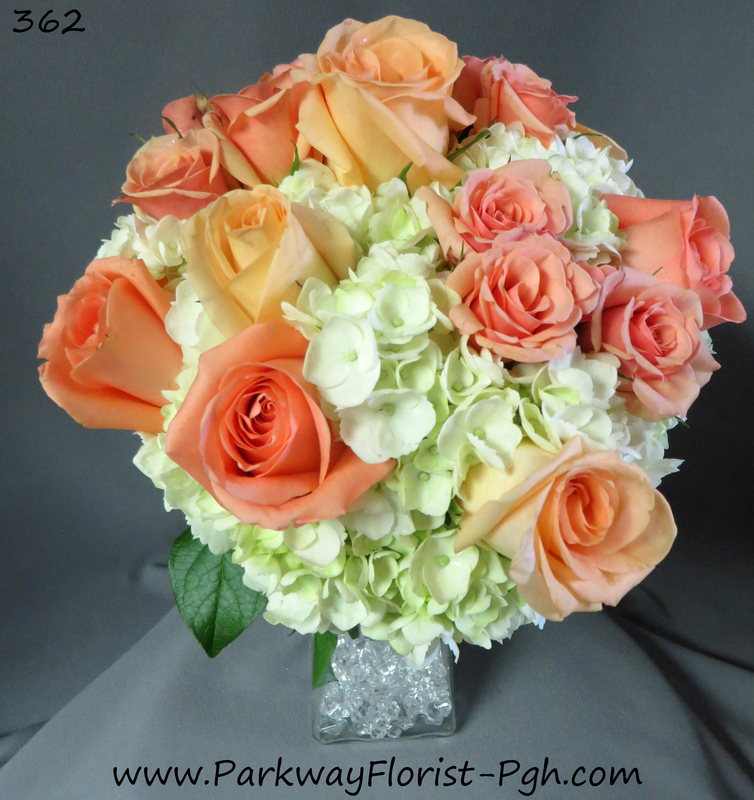 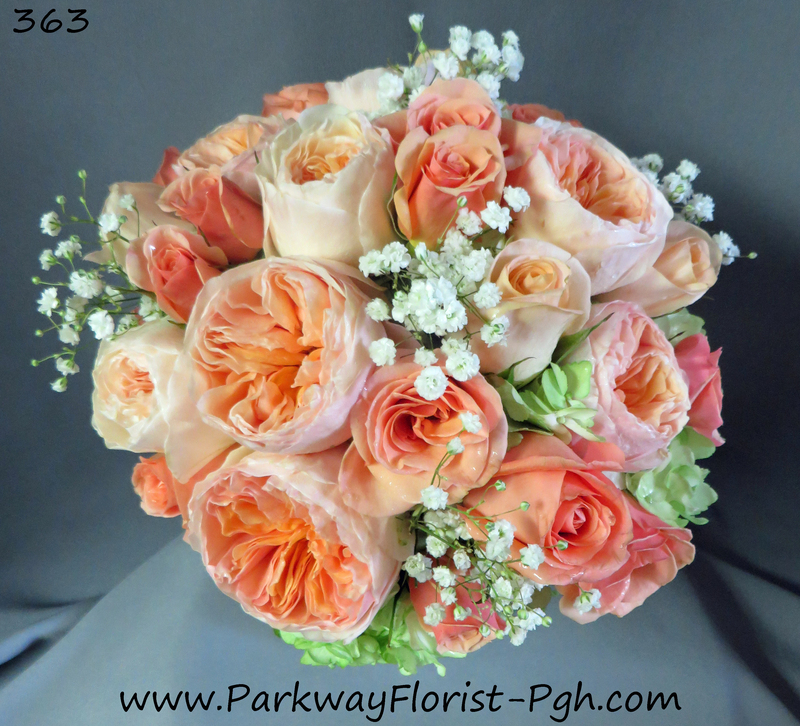 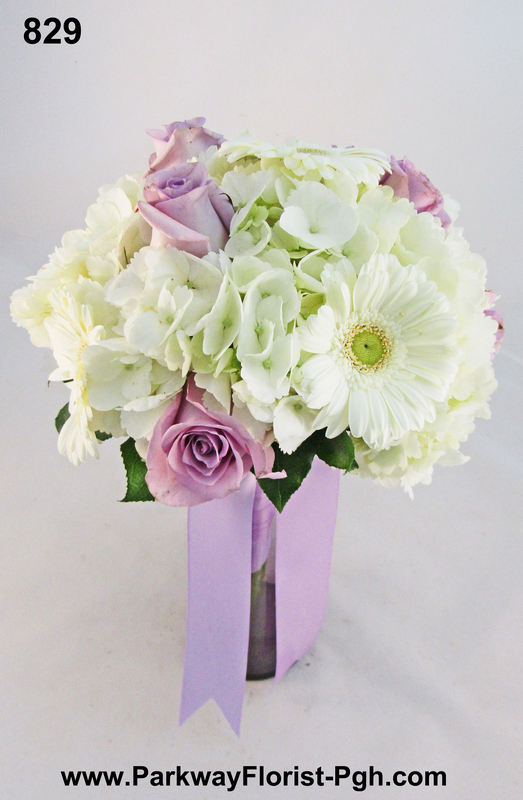 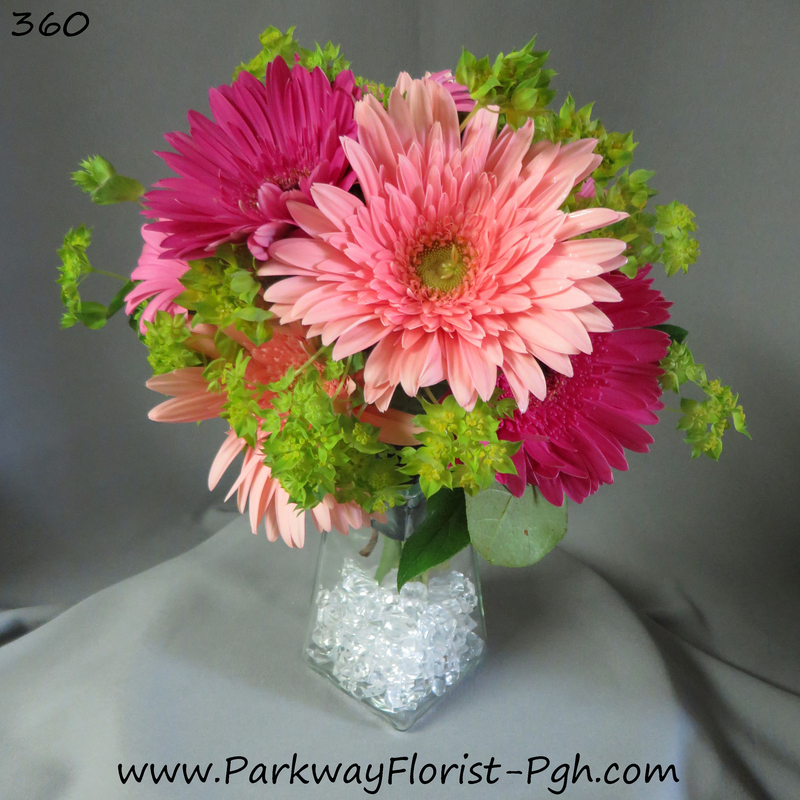 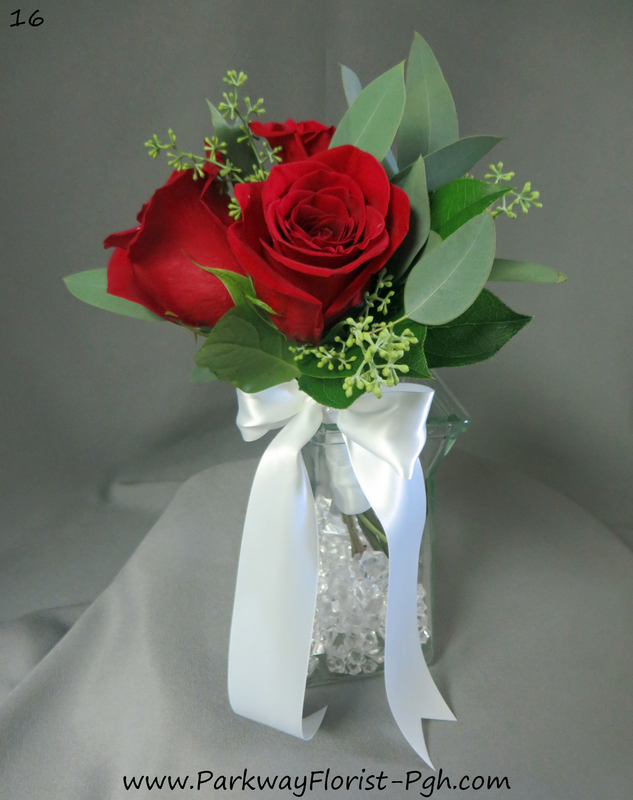 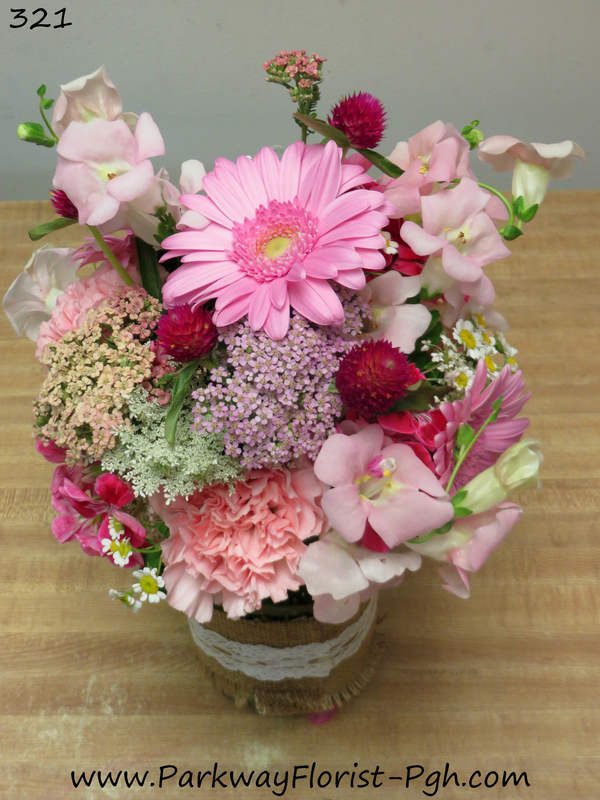 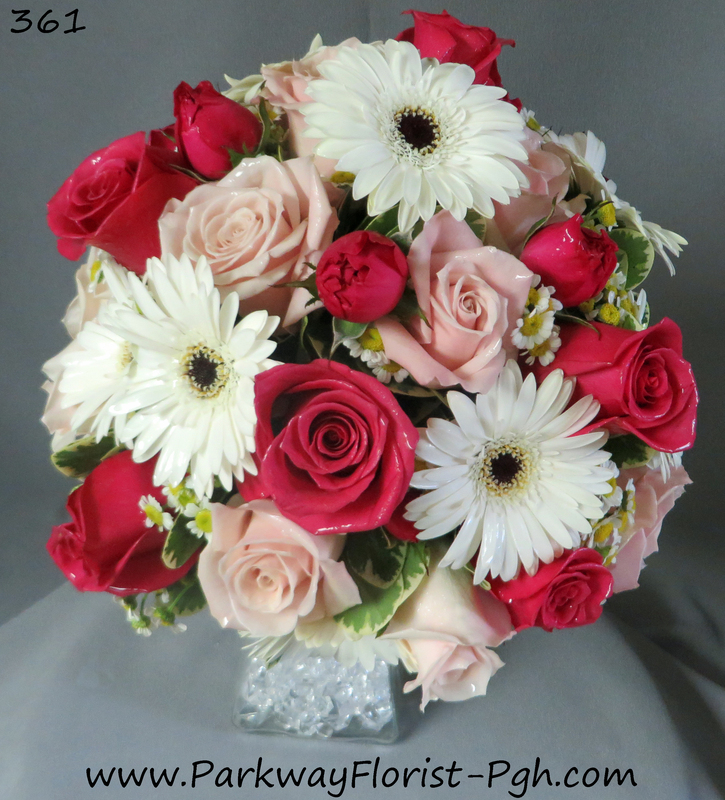 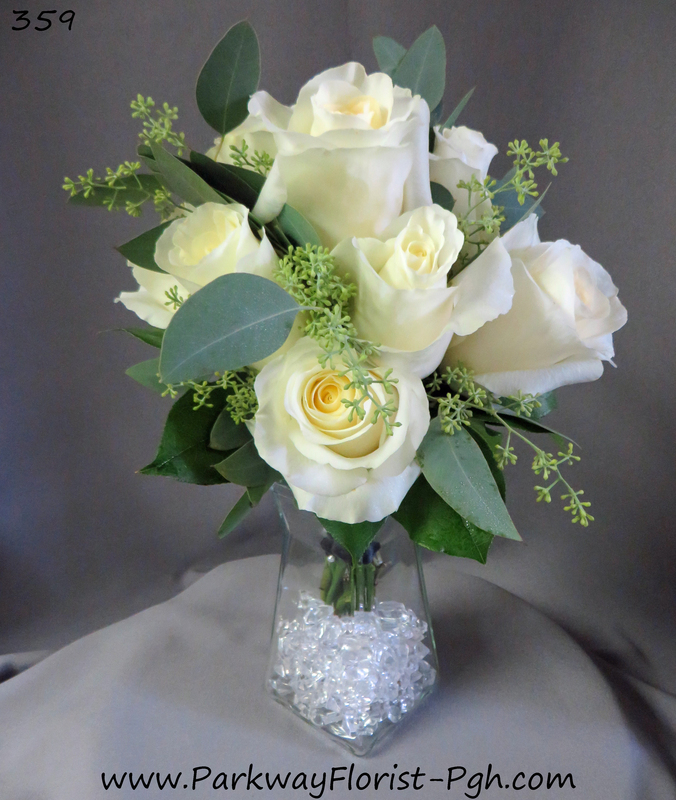 Sophisticated, Elegant, Classy, Tasteful, and Definitely not Your Grandma’s Wedding Flowers! 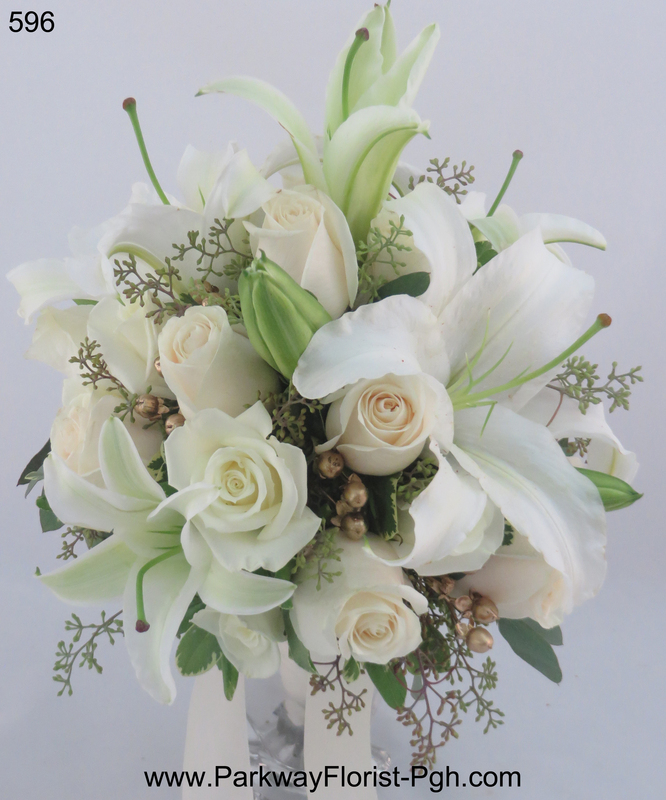 Last week, when we gave you this sneak peek of the white flowers that had just arrived, we promised to show you the finished products. 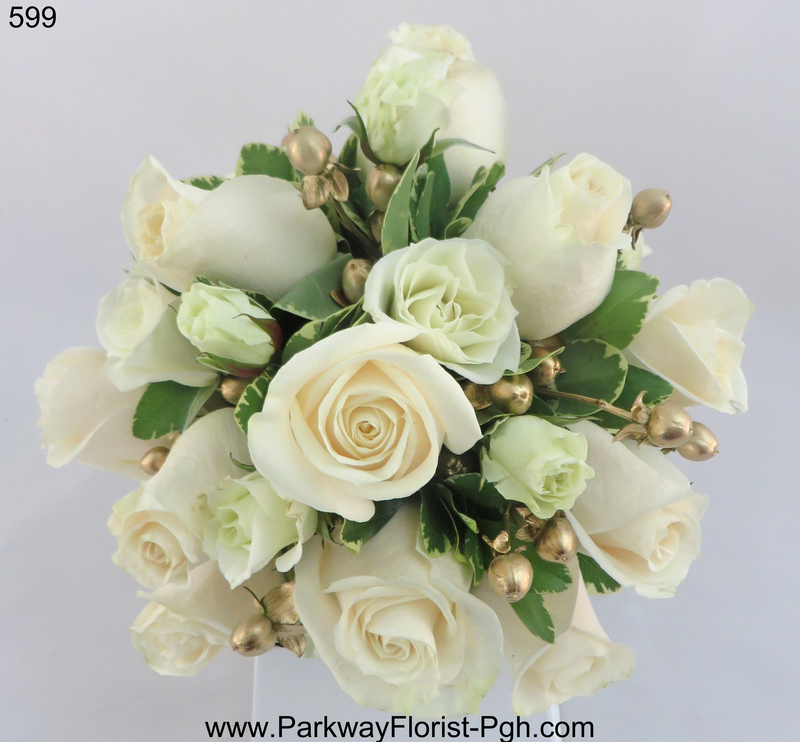 One of Friday’s weddings took place at St. John the Baptist Roman Catholic Parish in Monaca, PA. Our bride carried white and champagne flowers, including individual white gladiola blossoms while her bridesmaids carried cream and white flowers with gold accents. 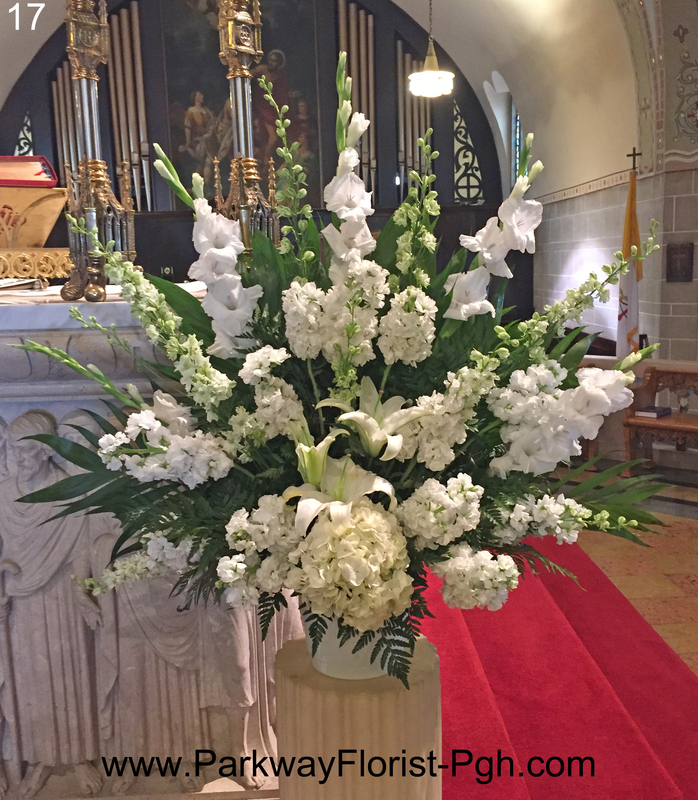 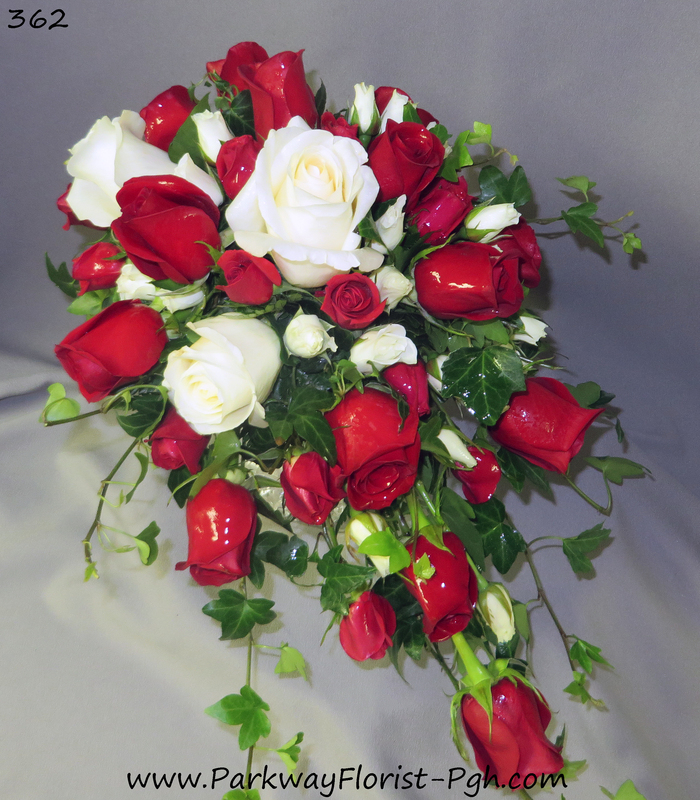 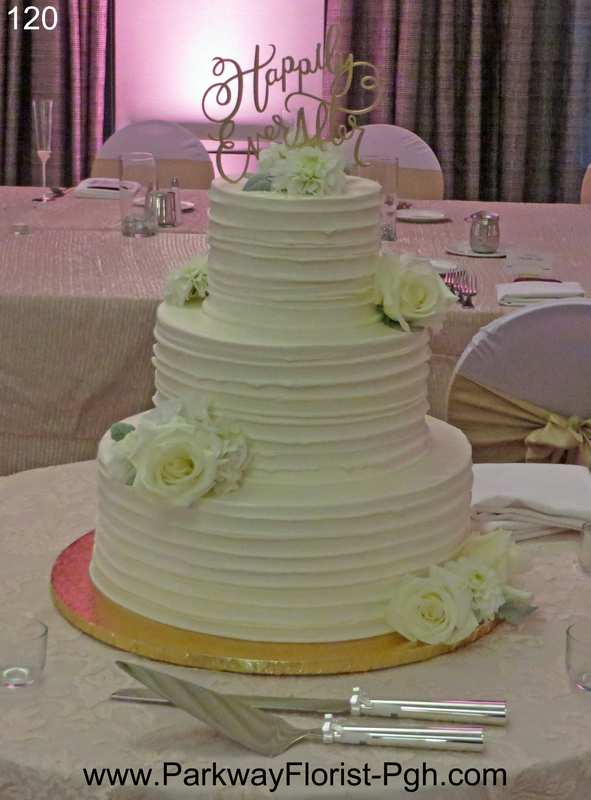 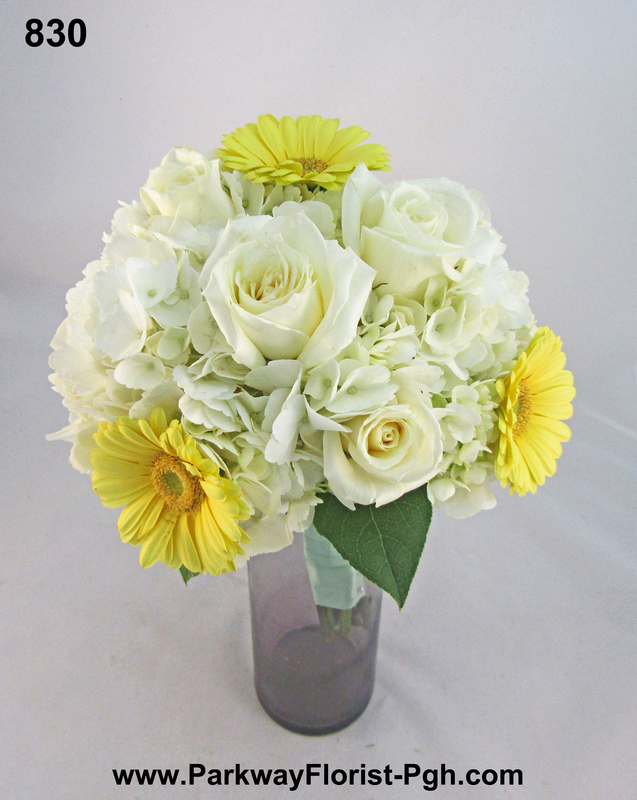 The beautiful church flowers also utilized a combination of white and cream blossoms. 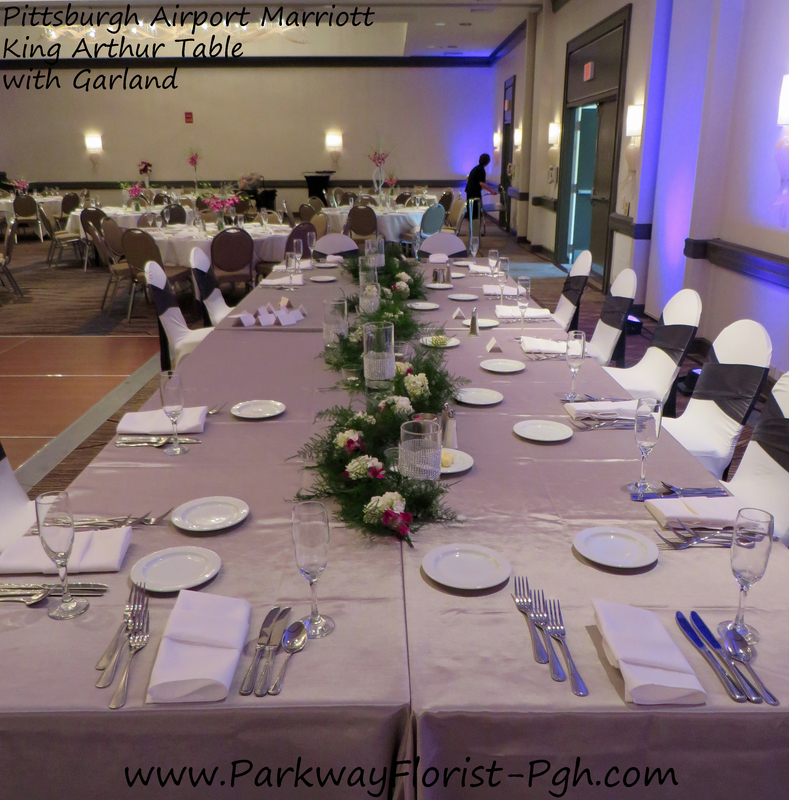 The reception used a Steelers Theme which carried very tastefully through the room utilizing white flowers with Black & Gold accents. 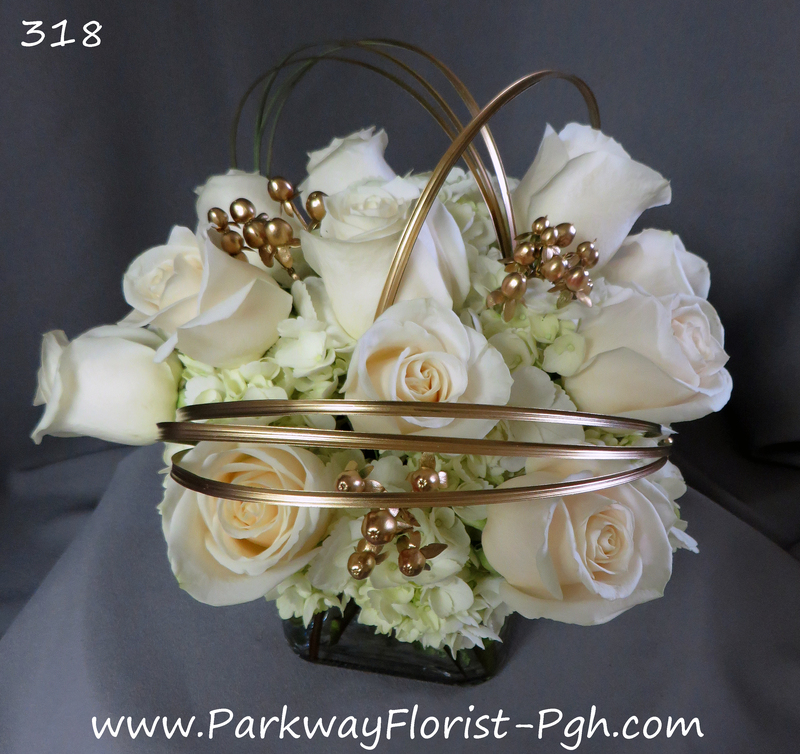 Saturday’s first wedding was also a white and gold theme. 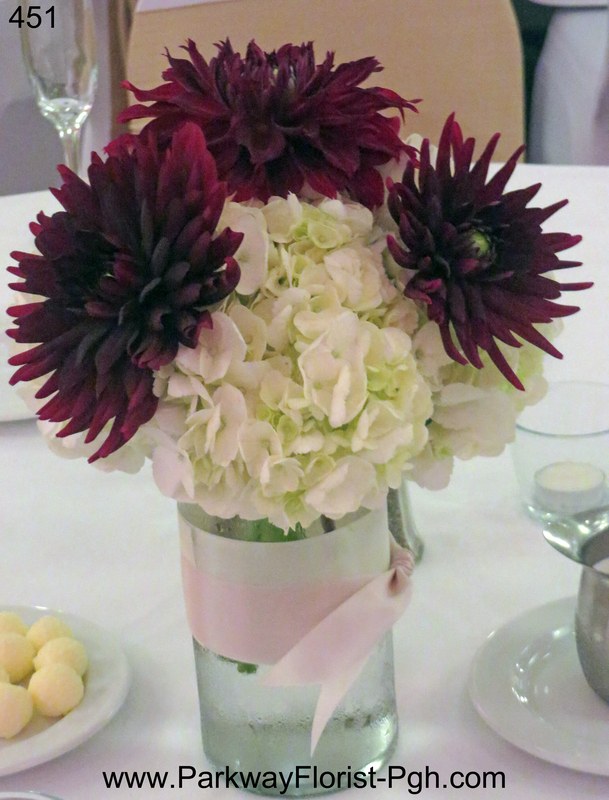 The Bouquets and centerpieces complemented each other. 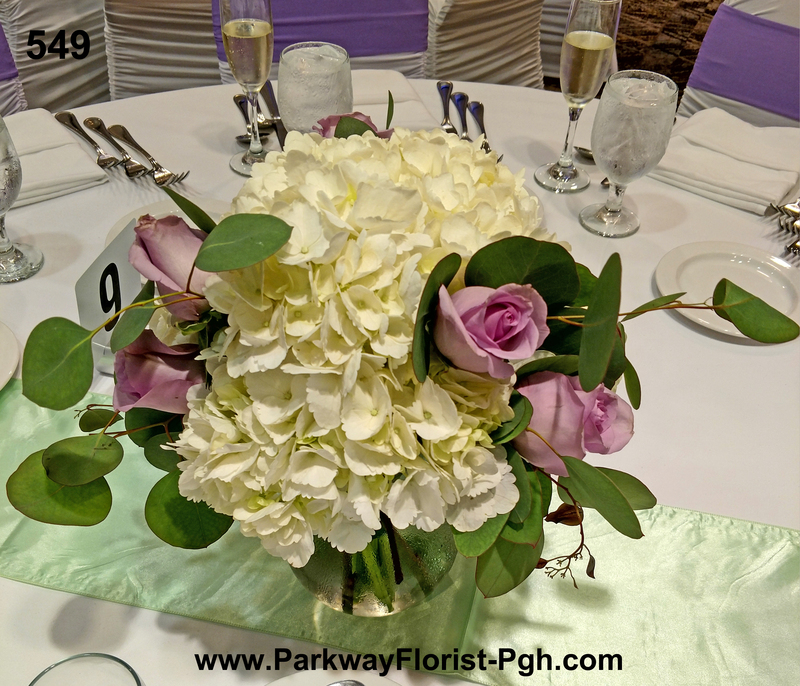 Our second Saturday wedding involved white flowers with a touch of color! 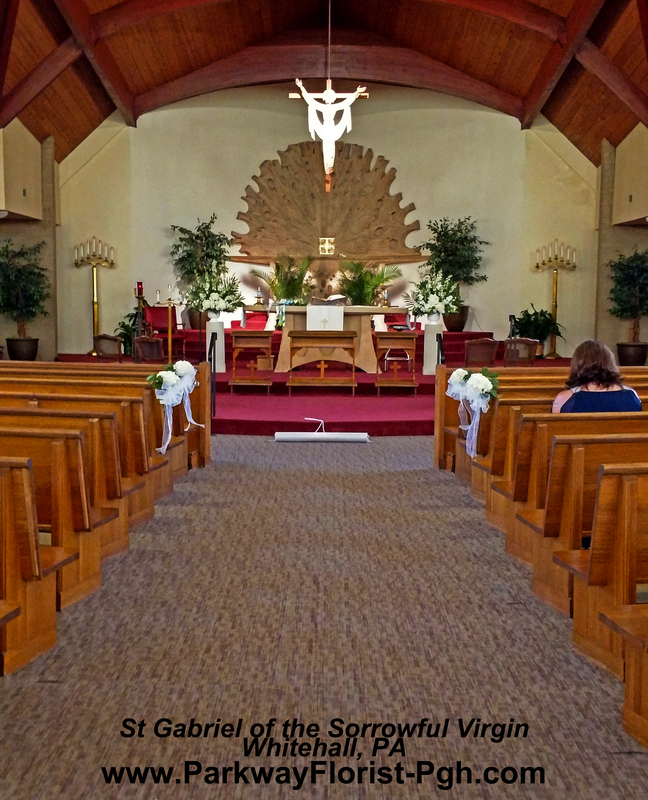 Our chuppah was a glorious display of all white hydrangeas. 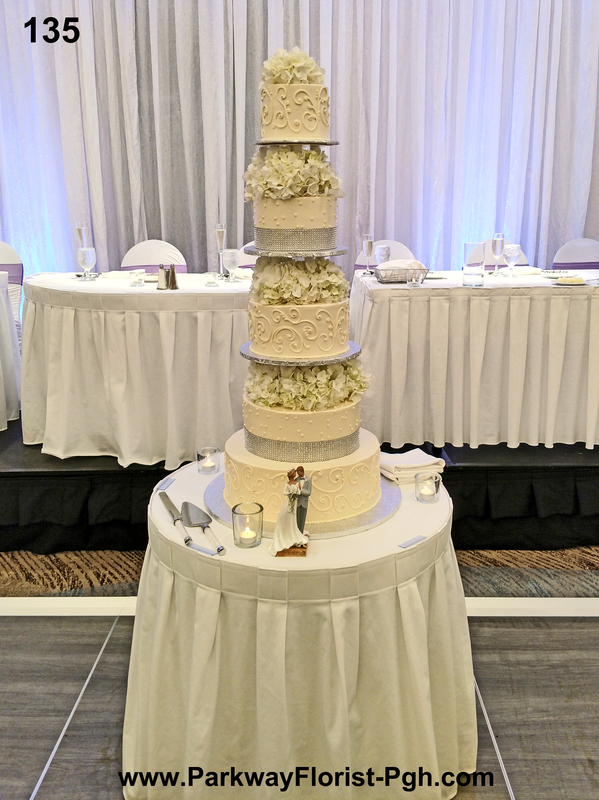 Following the ceremony, the chuppah piece was removed and became a centerpiece on the head table. 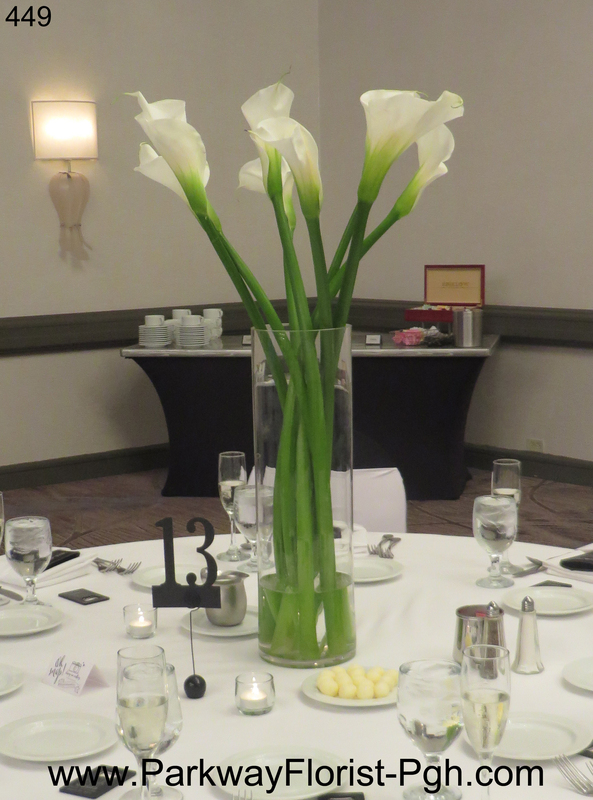 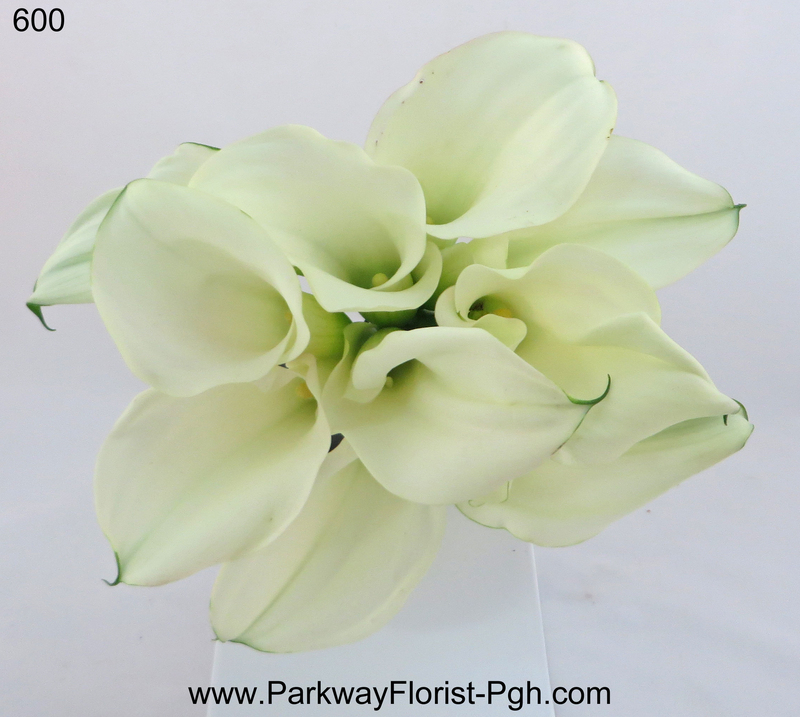 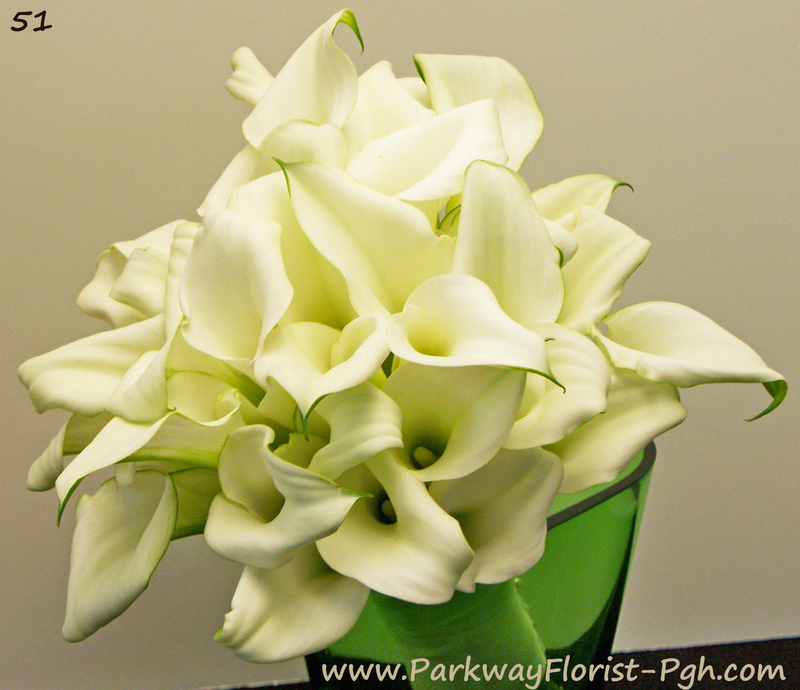 The calla lilies continued with the guest table centerpieces. 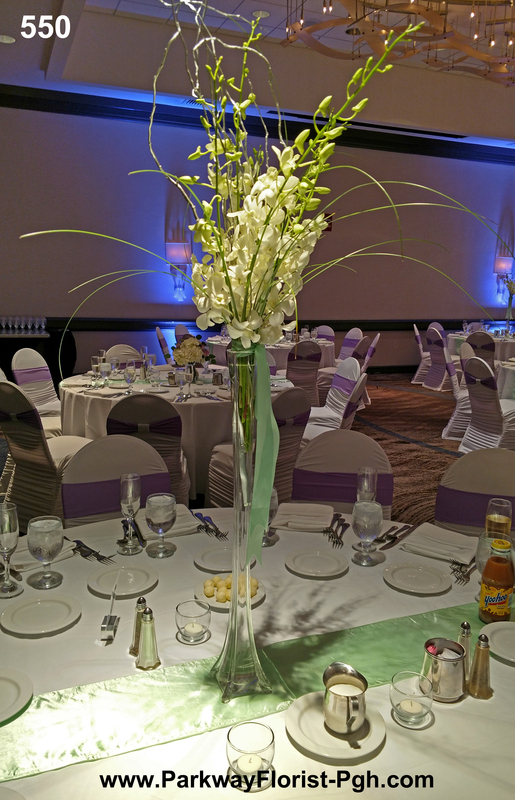 White is an elegant, neutral color that can compliment so many settings and can be used in so many different ways, as you can see here. 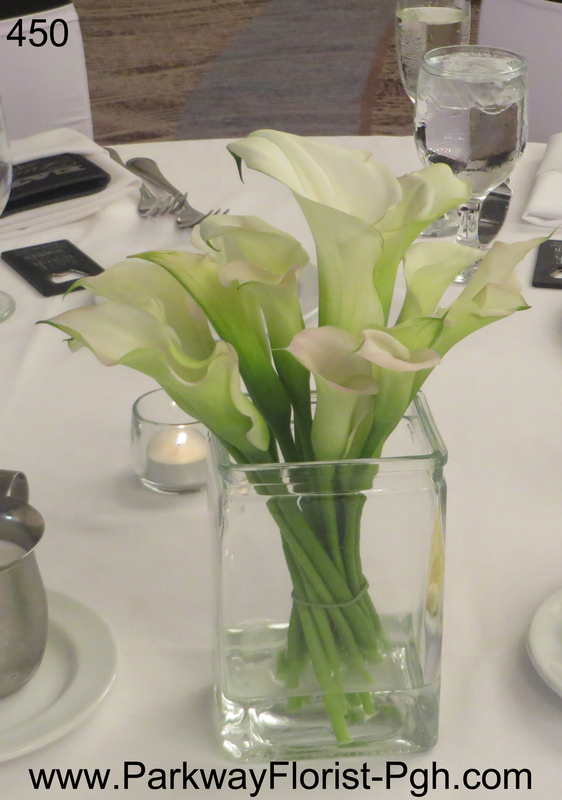 To find more pictures of what we are up to make sure you are following us on both Instagram and Facebook! 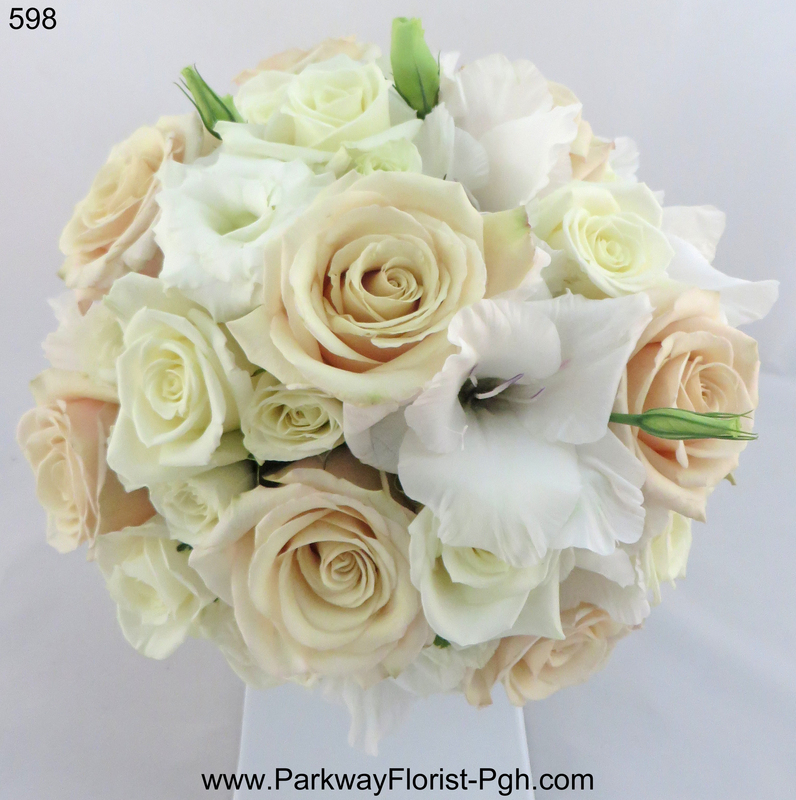 This entry was posted on August 22, 2016, in Weddings - 2016 and tagged bouquets, bride, Callas, hydrangea, wedding, wedding flowers, white.